Cusco heard your request, and have now answered with the all new Cusco Zero-2E Coilover System. 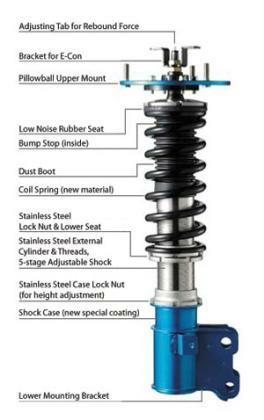 With all the same benefits and features as the Cusco Zero-2 Coilover, the Cusco Zero-2E Coilovers adds the option to electronically control the shock adjustment from inside the car. Utilizing the E-Con (sold separately), you can select what stage you want the shock set at.